You know I’m a huge fan of mail, and if not… check out these posts. Sending care packages is 100% included in this – and I love sending them. So much. A care package is exactly what it sounds like: a package of care. You carefully select items to curate a simple message of love. 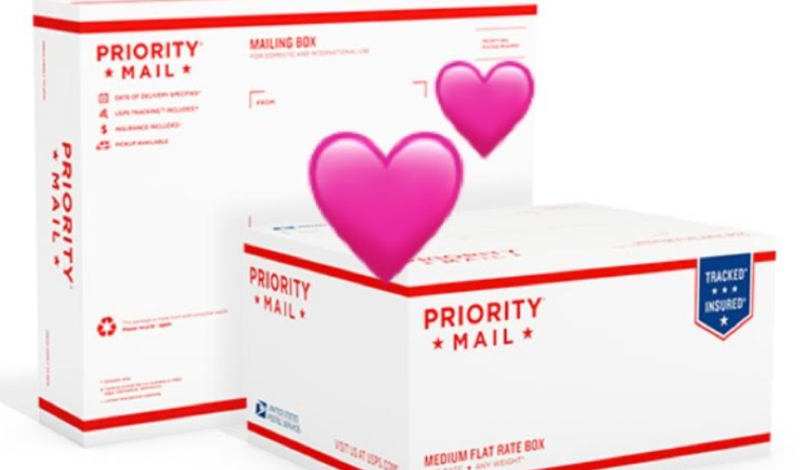 In this post, I’ll help you build a simple and lovely care package. Start with the simple: who is the recipient? Now – let’s explore why are you sending this? Just because, birthday, holiday, get well, military, etc? From here – you can start to build your package around the theme. Remember – you don’t have the spend a fortune – DIY gifts are a great addition to any care package. When buying supplies, ask – is there something that I would want if I were in this situation? Is there something the recipient needs? Food: Send snacks, candy, cookies, or other treats. Feeling: Send something that shows that you care about this person. Fashion: This is optional but comes in handy when you’re sending someone something. Maybe it’s a shirt, a tote, or socks. Socks you say? This is always a welcome gift for military or someone who is sick.